Poor Kieran Cruddup. This aspiring young playwright simply can’t get his plays published. Being an unknown author, he keeps getting The French Kiss Off from the big play publishing houses. A classic farce authored by Calgary’s own Alan LeBoeuf, this fast-paced comedy follows Kieran’s attempts—both fair and otherwise—to get his name up in lights. 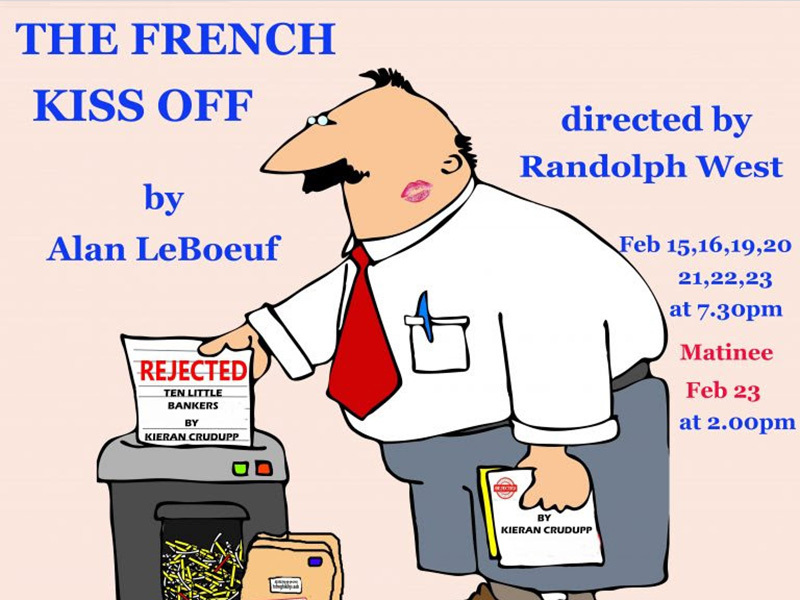 The French Kiss Off runs February 15 to 23, 2019 at the Shed Theatre, Pumphouse Theatres (2140 Pumphouse Ave. SW).